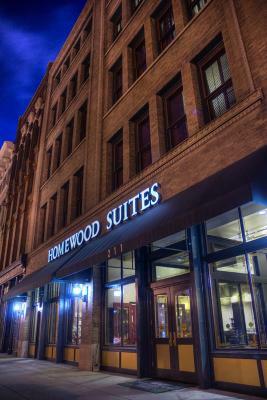 Lock in a great price for Homewood Suites by Hilton Indianapolis Downtown – rated 9 by recent guests! Location is great. Staff is friendly. Valet is helpful. Very clean. Great location, great for a family. And the extra space with the couch and tv were perfect for having kids along on the trip. Friendly staff, spacious rooms, breakfast was a pretty typical hotel meal, but still good. Breakfast ok and there was plenty of variety of things you could eat. The location was perfect for anything you wanted too see Downtown Indy. I Would love too stay there again. Great location, beautiful property, helpful and friendly staff, reasonably priced valet, great food and drinks during happy hour, wide selection of food and drinks for breakfast, clean and comfortable room. Our favorite hotel in Indy! The evening reception was nice and location perfect. Room was very spacious. Very cool looking building. Love the high ceilings and huge doors, shutters. Bedding was nice, pillow choices great. I was very happy to have the extra room in our suite. We were there for 4 days so it was quite comfortable. I liked the high ceilings in the room. It made it feel even more spacious. The breakfast was delicious. We especially enjoyed the eggs. We didn’t have a chance to use the billiard room, but it looked like a great place to hang out! Plus, our son attends Butler University, and should be graduating next spring. We are strongly considering returning for that celebration! The location was fabulous. We were able to walk to many restaurants. And the mall was close enough to walk to. We also felt secure and safe walking around this area. Great location if you’re going to Bankers Life Arena. Homewood Suites by Hilton Indianapolis Downtown This rating is a reflection of how the property compares to the industry standard when it comes to price, facilities and services available. It's based on a self-evaluation by the property. Use this rating to help choose your stay! One of our best sellers in Indianapolis! 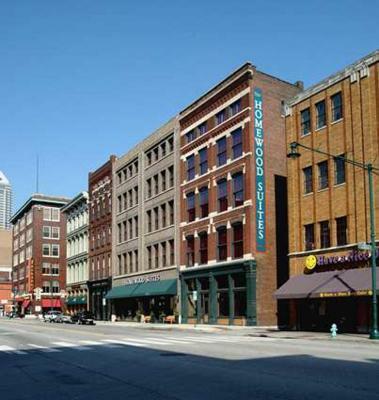 Centrally located in the heart of Indianapolis, within walking distance of popular sites, including the Indiana Convention Center, this all-suite hotel features exceptional amenities and services, along with many comforts of home. With in-room full kitchens, free high-speed internet access and an on-site fitness center, every stay at the Homewood Suites Indianapolis Downtown is sure to be enjoyable. The hotel also features a free daily hot breakfast, free grocery shopping services and a free weekday evening reception, complete with a light meal, beer and wine. 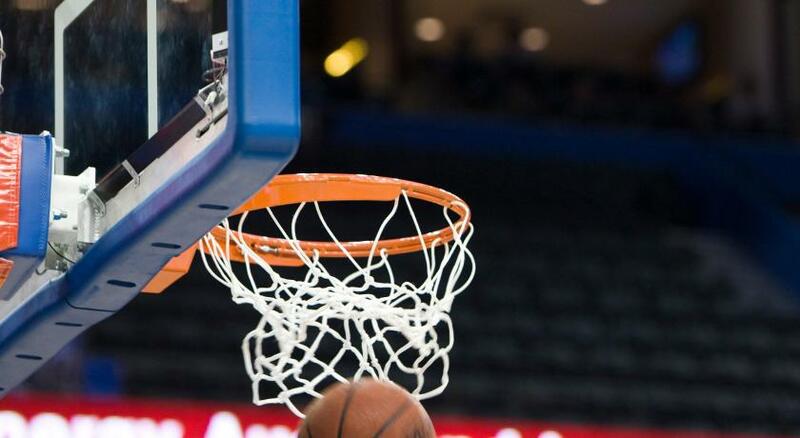 Guests at the Indianapolis Downtown Homewood Suites are within walking distance of Bankers Life Fieldhouse, and the RCA Dome, home to football's Colts. A number of shopping centers, entertainment options and restaurants can also be found nearby. 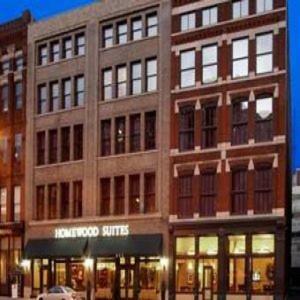 When would you like to stay at Homewood Suites by Hilton Indianapolis Downtown? This suite has a flat-screen TV and a full kitchen. Free Wi-Fi is also available. Private parking is available on site (reservation is not needed) and costs USD 33 per day. Features a separate living area with a sofa bed. This studio features a microwave, toaster and sofa. This suite has a kitchen, air conditioning and stovetop. House Rules Homewood Suites by Hilton Indianapolis Downtown takes special requests – add in the next step! Homewood Suites by Hilton Indianapolis Downtown accepts these cards and reserves the right to temporarily hold an amount prior to arrival. There is a fee of USD 40 per night for incidentals. The staff was not friendly in giving me directions for self parking. They just wanted me to use the vallet of the hotel. The shower temperature was a little hard to control. The room doors are really loud, you could hear them banging all the time. The hotel is gorgeous and everyone who works here is so nice! The walls are very thin you could hear everything in the hallway. The bathroom had 2 different things that needed maintenance. Parking is $33 a day. No ice machine and the ice maker in freezer takes forever. No big deal really. Great vibe and atmosphere! Room was very comfortable and high ceilings. Breakfast was good. Staff was welcoming and friendly. We unfortunately stayed there over St Patrick's weekend. If you aren't planning on partying yourself, the outside commotion might keep you awake as you are the central location of the bar crawls. But the hotel security was on point and checked for actual guests at the door. Not much choices of Parking we had too stay 2 nights and the Parking was a little Expensive. The shower had hardly any pressure.